Only hours have past since the album-title controversy has surfaced over the web, and it doesn’t look like it’s getting any better. Well this time, it’s a song title. After discovering the shocking similarities between the two titles between Bluetory and Blue Bird by CNBLUE and Ynot, various netizens have brought up another accusation against FNC Music, CNBLUE’s agency. The third song of CNBLUe’s Bluetory album is entitled Y, Why…. Coincidentally or not, ‘Ynot’ and ‘Y, Why…’ not only both include the letter Y in the title, but they are used identically to define the word ‘Why’. Neither side of the conflict has yet to bring up any statements toward this accusation. In my opinion, the number of plagiarism accusations that have been made regarding these two fellow indie bands is becoming ridiculous. Although it’s pretty common for artists to condense a word into a single letter (for example, U Got It Bad by Usher) to bring out the crafty effect in their titles, after being pointed out for numerous other “coincidences” CNBLUE had in relations to Ynot, no excuses seem like they will get FNC Music out of trouble now. It’s disappointing to see such a talented band getting swamped by issues with their company that have nothing to do with the members’ talents. Do you think this accusation was taking it a step too far or are the netizens on to something this time? 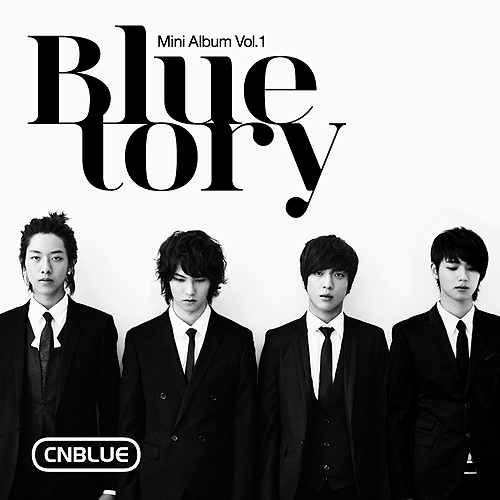 [KPOP] CN Blue’s Bluetory Means Blue Bird? Wow, coincidence much? Oh well, that “plagiarized” song is topping the charts anyway. I hope it’ll continue like that and not hurt the boys in the future. The new group CN Blue is swept in the tides again with the fact that they have also copied the album title from Ynot after the song as well. Currently, CN Blue is in fight against the copyright issues with the song ‘Blue bird’ from the group Ynot. The rhythm pattern and the melody of the chorus matching in the two songs was the cause of it. According to Ynot, they stated that FNC Music, the management company for CN Blue, asked the composers Kim DoHoon and Lee SangHo to apologize about the matter, but it the issue seemed to be calming down solely because there hasn’t been any more actions from CN Blue. However, the netizens are raising the matter once again by claiming that CN Blue’s album title ‘Bluetory’ actually means ‘Blue bird’. According to these netizens, ‘Bluetory’ is a mix up with the word “blue” and “tory” which means “bird” in Japanese.